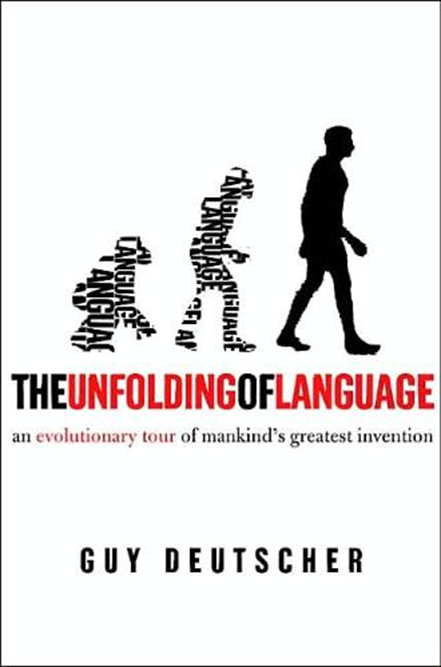 Guy Deutscher, a linguist at the University of Leiden in the Netherlands, discusses the origin and nature of language. Of all mankind’s manifold creations, language must take pride of place. Other inventions—the wheel, agriculture, sliced bread—may have transformed our material existence, but the advent of language is what made us human. Compared to language, all other inventions pale in significance, since everything we have ever achieved depends on language and originates from it. Without language, we could never have embarked on our ascent to unparalleled power over all other animals, and even over nature itself. But language is foremost not just because it came first. In its own right it is a tool of extraordinary sophistication, yet based on an idea of ingenious simplicity: ‘this marvellous invention of composing out of twenty-five or thirty sounds that infinite variety of expressions which, whilst having in themselves no likeness to what is in our mind, allow us to disclose to others its whole secret, and to make known to those who cannot penetrate it all that we imagine, and all the various stirrings of our soul’. This was how, in 1660, the renowned grammarians of the PortRoyal Abbey near Versailles distilled the essence of language, and no one since has celebrated more eloquently the magnitude of its achievement. Even so, there is just one flaw in all these hymns of praise, for the homage to language’s unique accomplishment conceals a simple yet critical incongruity. Language is mankind’s greatest invention—except, of course, that it was never invented. This apparent paradox is at the core of our fascination with language, and it holds many of its secrets. Language often seems so skilfully drafted that one can hardly imagine it as anything other than the perfected handiwork of a master craftsman. How else could this instrument make so much out of barely three dozen measly morsels of sound? In themselves, these configurations of the mouth – p, f, b, v, t, d, k, g, sh, a, e and so on—amount to nothing more than a few haphazard spits and splutters, random noises with no meaning, no ability to express, no power to explain. But run them through the cogs and wheels of the language machine, let it arrange them in some very special orders, and there is nothing that these meaningless streams of air cannot do: from sighing the interminable ennui of existence (‘not tonight, Josephine’) to unravelling the fundamental order of the universe (‘every body perseveres in its state of rest, or of uniform motion in a right line, unless it is compelled to change that state by forces impressed thereon’). The most extraordinary thing about language, however, is that one doesn’t have to be a Napoleon or a Newton to set its wheels in motion. The language machine allows just about everybody—from pre-modern foragers in the subtropical savannah, to post-modern philosophers in the suburban sprawl—to tie these meaningless sounds together into an infinite variety of subtle senses, and all apparently without the slightest exertion. Yet it is precisely this deceptive ease which makes language a victim of its own success, since in everyday life its triumphs are usually taken for granted. The wheels of language run so smoothly that one rarely bothers to stop and think about all the resourcefulness and expertise that must have gone into making it tick. Language conceals its art. Often, it is only the estrangement of foreign tongues, with their many exotic and outlandish features, that brings home the wonder of language’s design. One of the showiest stunts that some languages can pull off is an ability to build up words of breath-breaking length, and thus express in one word what English takes a whole sentence to say. The Turkish word ehirlilestiremedikierimizdensiniz, to take one example, means nothing less than ‘you are one of those whom we can’t turn into a town-dweller’. (In case you are wondering, this monstrosity really is one word, not merely many different words squashed together—most of its components cannot even stand up on their own.) And if that sounds like some one-off freak, then consider Sumerian, the language spoken on the banks of the Euphrates some 5,000 years ago by the people who invented writing … . A Sumerian word like munintuma’a (‘when he had made it suitable for her’) might seem rather trim compared to the Turkish colossus above. What is so impressive about it, however, is not its lengthiness, but rather the reverse: the thrifty compactness of its construction. The word is made up of different ‘slots’ mu – n – i – n – tum- a – ‘a, each corresponding to a particular portion of meaning. This sleek design allows single sounds to convey useful information, and in fact even the absence of a sound has been enlisted to express something specific. If you were to ask which bit in the Sumerian word corresponds to the pronoun ‘it’ in the English translation ‘when he had made it suitable for her’, then the answer would have to be . . . nothing. Mind you, a very particular kind of nothing: the nothing that stands in the empty slot in the middle. The technology is so fine-tuned, then, that even a non-sound, when carefully placed in a particular position, has been invested with a specific function. Who could possibly have come up with such a nifty contraption?